Spend your time reading and replying to all of those emails you’ve been neglecting. You’re being productive and passing the time. A book? What’s that? Remember those sheets of paper bound together by stitches and glue? They tell a story; sometimes a series of stories. But, really. Why not? Whether it’s work reading or pleasure reading, it will definitely pass the time. Feel free to sub in a tablet or eReader. 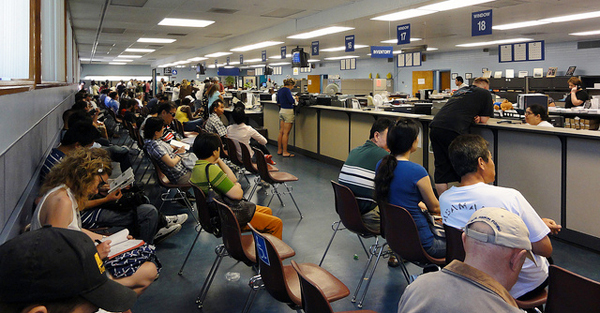 In May, the Department of Motor Vehicles launched an online service for Nevada residents, called MyDMV. The website allows users to do 15 of the most common transactions at a computer. 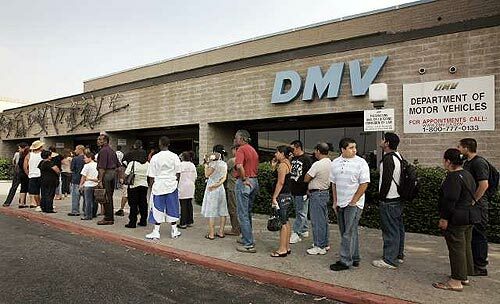 They’re rolling this program out in a number of states, so check to see if you’re living in one, and you may be able to skip the DMV altogether. Need a gift for someone? You always do. It’s your brother’s birthday, sister’s anniversary, or your best friend’s wedding. If you happen to be in that one week of the year where you don’t need a gift for a while, it’s never too soon to start holiday shopping. How do you do this while at the DMV? Your tablet or smartphone. Hit up Amazon or eBay. Maybe you know someone who needs some new stanchions (just kidding…kind of). If you get some shopping done while waiting at the DMV, you’ll certainly walk out of there a bit more satisfied and a lot less irritated. Ever heard of Angry Birds? How about Bike Race? Draw Something? These are all fun games that’ll help pass the time if you’ve finished with your emails and other more productive time-killing tasks. Learn more about each of these games here.